What is The Pay As You Earn Student Loan Repayment Plan (PAYE)? In 2019, the Pay As You Earn Federal Student Loan Repayment Plan (“PAYE”) remains the most powerful, most affordable of all the Federal Student Loan Repayment Plans on offer. Why? Because PAYE sets your monthly student loan payments for Federal loans at just 10% of your discretionary income. With this knowledge in mind, if you have Federal student loan debt, and your goal is to pay as little money as possible each month, then you should first look at PAYE (or REPAYE), because those will be your best options. Now that I’ve got your attention, let’s go through all the details about what PAYE is, where it came from, how discretionary income (and thus monthly payments) are calculated, and how to decide whether or not PAYE is the right plan for you! Let me fill you in on the dirt little secret of student loans: the fastest, easiest way to get rid of your debt is to pay an expert to review your case and tell you exactly what strategy would work best. Why would I advise paying someone for help when so many articles say that you should do it all yourself? Because I’ve been helping people deal with their student loans for 10 years, and the people with the best outcomes have been those who paid an expert to create their repayment strategy for them. But there’s only one company I trust to advise my readers: the Student Loan Relief Helpline. 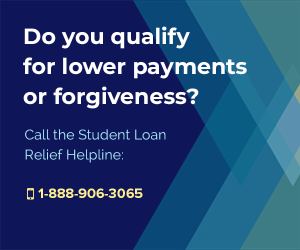 The Helpline is staffed by actual student loan experts who will review your case and provide specific instructions on what you should do, whether that’s to consolidate, refinance, or pursue some sort of discharge or forgiveness benefit. The Helpline only charges a few hundred dollars for their advice, and it could save you thousands or even tens of thousands of dollars over the lifespan of your loans. 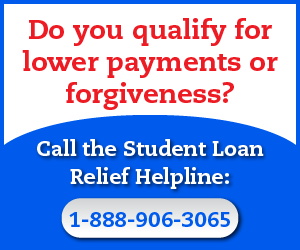 To get your students in order, call the Student Loan Relief Helpline now at: 1-888-906-3065. How Do the Income-Driven Student Loan Repayment Plans Work? All of the Income-Driven Repayment Plans work in similar fashion, by setting your monthly payments at an amount based on your income and family size. Typically, these plans significantly reduce your monthly payment amounts when compared to the Standard Repayment Plan. With that out of the way, why would you choose PAYE over the other IDR plans? Why Would I Want to Use PAYE? Simply put, PAYE is the cheapest loan repayment plan available for Federal student loans. PAYE sets a an arbitrary cap on your monthly student loan payments, forcing your servicing company to charge no more than 10% of your discretionary income. And because your payments are capped based on income, that means that PAYE can (and usually will!) dramatically reduce your monthly student loan payments, especially if you don’t make much money, or if you have a big family. If you’re having trouble making your monthly Federal student loan payments, then PAYE should be the first place you look for financial relief. With that said, let’s talk abut how PAYE actually works, and what makes it such a great option. First, PAYE requires that you certify your income and family size each year by submitting IRS details to the Department of Education via your Student Loan Servicing Company, as this is the information they use to calculate your discretionary income, which will be used to set your monthly payment rates. This process means that your payments could change year to year, but they’ll at least remain consistent between the certification periods, an the nice part about this is that it means your payments will fluctuate based on how much you make, giving you some breathing room if you end up unemployed or getting underpaid. PAYE is a much more forgiving way to pay off your loans compared to being told that you must pay some certain amount each month, no matter what you make, so it’s especially attractive to people who have unstable incomes, or low incomes. Also, one important thing to note about PAYE is that the maximum monthly payment is capped not just at 10% of your discretionary income, but also at whatever you’d be forced to pay under the Standard Repayment Plan on a 10 year repayment term, so there is no chance that you could end up paying MORE under PAYE than you pay under the Standard Repayment Plan. Finally, PAYE offers complete student loan forgiveness after you’ve made 240 monthly payments on time, and in full. That means that you’ll have to pay whatever PAYE sets your payments at for 20 years, but even if you still owe a ton of money at that point, the debt will be forgiven. How are PAYE’s Monthly Payments Calculated? Basically, the less money you make and the larger your family is, the lower your monthly payment will be. To figure out what your payments will be, first you’ll need to calculate your discretionary income. Discretionary income typically refers to the amount money you have left over after paying for necessities for yourself and your family, so it’s whatever is left over after you’ve paid rent, utilities and food. But for student loan purposes, discretionary income is calculated more simply, by taking your gross income after taxes and subtracting 150% of the Federal poverty guideline for the size of your family. Once you’ve calculated your discretionary income using this formula, you can find out what your monthly payment under PAYE will be by multiplying your calculated discretionary income by .1 (.1 = 10%). To simplify the process and avoid doing the math yourself, try checking out the Government’s official Student Loan Monthly Payment Calculator, which you can find here. Next let’s find out if you’re even eligible for using PAYE. How Does PAYE Loan Forgiveness Work? One of the best parts of the PAYE plan is that you will qualify for complete student loan forgiveness after you’ve made 240 payments under the plan. These payments have to be made according to PAYE’s official schedule, they have to be for the full amount required by your plan, and they have to be sent in on time, but they don’t have to be consecutive. That means you will need to make 20 years worth of payments, but that your loan may not be forgiven as soon as you hit the 20 year mark, since you may have missed a payment here or there, or paid too little once or twice. It also means you can’t issue a whole bunch of payment all at once, but that you have to wait for the payment to be due each month before submitting it, or it won’t count toward the 240 payment threshold. The most important thing to keep in mind about PAYE loan forgiveness is that you will have to pay the IRS taxes on whatever amount of money gets forgiven, and for details on how that works, make sure to visit my Guide to Student Loan Forgiveness and Taxable Income. What Loans Are Eligible for PAYE? Only Direct Loans are eligible for PAYE, which means that anyone with a Federal student loan that is NOT a Direct loan won’t be able to take advantage of this repayment plan. Here’s the real kicker though, even if you do have a Direct Federal loan, you may still not qualify for PAYE, because it’s only available to “New Borrowers” (defined in very specific terms, which I’ll outline below). If you had loans before October 1st, 2007, you won’t be able to enroll in the PAYE plan, unless you first pay those loans off entirely, then take out a new loan. This leaves the vast majority of those holding federal student loan debt out of contention for leveraging the Pay As You Earn plan, but the good news is that even if you don’t qualify for PAYE because you aren’t a “New Borrower”, you may still be able to qualify for PAYE’s Sister Plan, the Revised Pay As You Earn Plan (REPAYE). For details on how REPAYE works, please visit my Guide to the Revised Pay As You Earn Student Loan Repayment Plan. Also, keep in mind that the required qualifications don’t stop at the type and age of your loan, because in addition to being a “New Borrower”, you must also have what the Government calls a “Partial Financial Hardship” in order to qualify for PAYE. What is a Partial Financial Hardship? To qualify for the Pay As You Earn plan, you’ll need to prove that you’re facing a partial financial hardship, which is defined as existing when the amount of money you owe on your loans each year as calculated under the standard 10-year repayment plan exceeds 10% of your “discretionary income”. To find out if you’re facing a partial financial hardship, you’ll need to add up the amount of money you owe on eligible student loans (including only Federal Direct loans and FFEL Loans), calculating this amount according to the 10-year Standard Repayment Plan, then check to see if that exceeds 10% of the difference between your adjusted gross income and 150% of the poverty line for your family size in the state where you live. If you do qualify, then you’ll be able to enroll in the PAYE plan, but if you don’t, you’ll have to look elsewhere for debt relief. Most people who don’t have a Partial Financial Hardship, but who still want to enroll in an Income-Driven Repayment Plan will need to look at the Income-Contingent Repayment Plan as their last resort. Note that it’s much easier to qualify for a partial financial hardship if you’ve got a large family size, but if you’re making decent (or great) money and simply spending too much of it, then you probably won’t make it through this eligibility filter. If you’re a public service worker with a high debt to income ratio, then you’ll probably qualify easily. If you’re a recent law school graduate with hundreds of thousands of dollars in Federal student loans, then you’re almost guaranteed to qualify. Again, the easiest way to find out whether or not you qualify for PAYE is to enter your information into the Government’s official online Repayment Estimator. To tell you the truth, not everyone is going to want to enroll in the PAYE plan. Why? Because while this program might sound like a miracle cure, you’re going to have to do some math to decide whether or not it’s actually your best option in both the short-term and the long-run. For some borrowers, PAYE will only exacerbate their financial distress, stretching out their student loan payments for years, adding interest to the debt and making it even harder to pay off their loans. But for other borrowers, PAYE will provide significant financial relief by decreasing the amount of monthly payments, giving them some breathing room to save up cash and the opportunity to do things like start a family, launch a business or purchase a home. There’s a reason that this plan was introduced just after a huge economic meltdown – it was created to offer serious financial assistance to people who are struggling to make ends meet. While this is nothing new (the Income-Based Repayment Plan and the Income-Contingent Repayment Plan already set monthly payments based on earnings), the PAYE plan offers a significant reduction in the monthly maximum cap. With IBR and ICR, you could have been forced to pay up to 15% of your discretionary income each month, while with PAYE, you’ll only need to pay a maximum of 10%. Don’t think 5% makes a big difference? Do the math and think again. One of the big concerns with PAYE is that your monthly payments could end up being so small that they wouldn’t even cover monthly interest accrual, leading to interest capitalization. Interest capitalization means that the unpaid interest is tacked onto the principle of the loan, making your loan more expensive in the long-run, and your monthly payments higher in the short-run. Fortunately, the PAYE plan includes a provision that protects those of you with certain types of Federal student loans from interest capitalization, because the Government will have to pay your unpaid interest on Direct Subsidized Loans (or on the subsidized portion of your Direct Consolidation Loans) for up to three consecutive years from the date you begin making payments under PAYE. Limits on interest capitalization – Should you run past that three year protection, as long as you’ve got a “partial financial hardship” (defined below), your accrued unpaid interest won’t be capitalized, even if it accrues during deferment or forbearance. Unpaid interest will only capitalized under PAYE if you don’t have a partial financial hardship, and the amount of interest that capitalizes is limited to just 10% of your original principal balance, calculated from the time that you began making payments under PAYE. If you use the PAYE plan and meet other certain requirements, whatever is left of your original student loan balance will be forgiven after you’ve made 20 years’ worth (240) of scheduled, full, and on-time monthly payments. Unfortunately, the only way that there could be anything left after you’ve made 20 years of payments is if you’ve missed payments, had problems that lead to capitalization, or encountered other issues that caused your debt to increase, since the PAYE plan is supposed to have you set to finish making payments at 20 years anyway. This the best way to leverage the PAYE plan, but its also restricted to those individuals who qualify as “public service” workers. Those on the PAYE plan who work full-time for a public service organization (basically any government or non-profit job) will receive complete loan forgiveness after making just 10 years’ worth (120) of scheduled, full, and on-time monthly payments. This is a huge benefit to those who can qualify, since it dramatically speeds up the prospect of paying off student loan debt early. This program is an enhancement to the traditional Public Service Loan Forgiveness Program, which worked under any of the other available student loan repayment plans, but didn’t offer loan forgiveness until 20 years of payments had been made. Even with all the advantages listed above, there are some issues with PAYE that can lead to increasing the amount of money you spend on student loans, especially in the long-run. While your monthly payments get reduced under PAYE, making it more affordable in the short-run, you’re going to end up paying your loan off over the long-run since reducing monthly payments stretches out the loan’s term, allowing more interest to accumulate over time. For some people, this isn’t as much of a problem, since the overwhelming reason for signing up is to reduce monthly payments to get them into an affordable range, but if you aren’t having trouble making monthly payments, then PAYE will end up costing you money. The PAYE plan isn’t run on the “honor system”. To qualify for the plan, you’ll have to submit paperwork to prove how much you’ve made each year, and failing to do so will lead to your unpaid interest being capitalized (dramatically increasing the life-time cost of your loan), or even resulting in you being booted from the program. If you’re good at keeping track of your income or you’ve got a long-term salaried type position then this shouldn’t be a problem, but it could become a nightmare for those of you who are unreliably employed, working for commission or earning unstable types of income. You’ll only be eligible for the PAYE plan if you’re facing a partial financial hardship (explained below). The good news about this piece is that you’ll get to count FEEL Program loans when determining how much you owe, but the bad news is that only your Direct Loans are eligible for PAYE. Depending on your unique situation, this could result in the possibility of you having to make monthly student loan payments under multiple repayment plans. It’s always easier to have all your loans on the same plan, just for the sake of logistical clarity, but you may not be able to do that in this case. While President Obama has submitted a proposal to erase the tax liability for forgiven debt, that was rejected and the current Student Loan Forgiveness and Income Taxability Laws state that anyone who has debt forgiven will end up having to count whatever amount of debt was forgiven as taxable income, and pay the IRS accordingly. That may not seem like a big deal, but because the forgiven debt has to be reported as annual income in your IRS filings, that could dramatically increase the amount of tax money you owe during the year you wipe out your debt, causing you to face a massive, one-time tax bill. In fact, for some people, that may be an even worse financial situation than facing years of low monthly payments, and personally, I think we’re headed toward what I’m calling the Coming Student Loan Taxpocalypse, which will hit when everyone’s loans start getting forgiven, and they end up owing tons of money to the IRS. I think this is such a problem that I’ve created an entirely new website to help people deal with their new tax liabilities, called Forget Tax Debt, which goes through all the same sorts of topics I cover here, but for tax-related issues instead. Whether you’re looking for help with Filing and Paying Back Taxes, Applying to the IRS’s Fresh Start Program, or Negotiating a Settlement on your Tax Debt, Forget Tax Debt can help, so be sure to visit it for all IRS-related questions. To decide if PAYE is really right for you, you’l have to do the math, and think about what you want to prioritize – lower monthly payments, or a lower total cost of your loan over the lifespan of paying back the debt. For most borrowers, PAYE is going to be a better option than the IBR plan, but again, this depends on your unique financial situation and goals. You’ll want to use PAYE if your goal is to reduce monthly payments to their lowest possible level, since PAYE sets them at just 10% of discretionary income, while IBR sets them at 15%. But of course, you’ll only be able to use PAYE if you have a partial financial hardship AND meet the conditions of being a “New Borrower”, whereas IBR doesn’t require you to be a “New Borrower”. Personally, I would recommend trying to qualify for PAYE first, then only consider using IBR if that doesn’t work out. (For the record, I’d probably try REPAYE before IBR too!). In most cases, PAYE is significantly better than ICR because it offers a much lower monthly payment. While PAYE sets your monthly payments at just 10% of discretionary income, ICR is going to place them at 20% – literally twice as expensive. Also, PAYE offers earlier loan forgiveness than ICR, giving it at 20 years worth of payments, whereas ICR requires making 25 years of payments, and that 5 year difference can mean a lot of money in total costs. So why would anyone choose ICR over PAYE? Because ICR is much easier to qualify for. It doesn’t require having a partial financial hardship or being a “New Borrower”, and ICR is also available to people with Parent PLUS Loans, whereas PAYE is NOT. Finally, if you can afford to pay more than the monthly payments that you’re supposed to make under PAYE and you plan on paying off the full amount of your loan before it’s forgiven at the 20 years mark, then it’s better to do it under ICR since you’ll end up paying less over the lifespan of the loan. PAYE and REPAYE are honestly almost identical, except that REPAYE doesn’t require being a “New Borrower”. If you don’t qualify for PAYE because of the “New Borrower” restriction, then you should look into REPAYE and see if you’ll qualify for it instead. Other than that eligibility rule, there’s almost no difference between these two plans as each of them set monthly payments at 10% of discretionary income. How Can I Maximize PAYE Benefits? The best way to take advantage of PAYE remains enrolling in the plan while also signing up for the Public Service Loan Forgiveness Program, which would allow you to qualify for total student loan debt forgiveness after making just 10 years of monthly payments, and paying no more than 10% of your discretionary income during that time. One thing to keep in mind is that the Public Service Loan Forgiveness Program is available to all sorts of people, because it exists for more than traditional “Public Service” fields, offering benefits like Nursing Student Loan Forgiveness, Military Student Loan Forgiveness, Teacher Student Loan Forgiveness, Non-Profit Student Loan Forgiveness, Government Employee Student Loan Forgiveness, and more! Also, keep in mind that because PAYE is income-based, it’s possible that you could even qualify for complete Federal Student Loan Forgiveness after 10 years of issuing payments, even if your payments were set at $0 per month during that entire time period! Via a combination of PAYE and PSLF, you could literally get your loans entirely forgiven without paying a single penny. PAYE is an extremely powerful repayment plan, and combined with the PSLF program, can work wonders for those of you facing terrible student loan situations. If you’ve got student loan debt, and especially if you’ve got a lot of it, you will most certainly want to consider enrolling in PAYE. How Do I Apply for PAYE? First, contact whoever services your loan to ask if you qualify for the program. Even if you think you qualify for PAYE, your servicer gets final say in who is allowed to use it or not, so be sure to ask them before making any other financial plans or decisions. Once you’re sure that you’re eligible to enroll, tell your servicer that you want to switch to the PAYE plan, and they will let you know exactly what you need to do to get enrolled. If you’ve been following student loan-related news, then you’re probably well aware that President Trump and Education Secretary Betsy DeVos are dead-set on ELIMINATING the Pay As You Earn Student Loan Repayment Plan from existence. No one knows whether or not PAYE will actually be taken away, but President Trump’s Student Loan Reform Plan is clearly looking to get rid of it entirely, along with other important student loan forgiveness benefits, like the Public Service Loan Forgiveness Program, and even the Borrower’s Defense Against Repayment Discharge Program. For now, there’s no way of telling how this will all shake out, and as long as President Trump remains in office, there’s always a chance that PAYE could be taken away at any time. I made Forget Student Loan Debt to help people figure out How to Get Rid of Student Loans Without Paying for Them, and in the last 10 years, I’ve created over 100 Guides to help explain each part of the student loan repayment process. If you’re looking for help dealing with your debt, then you’ve certainly come to the right place, because I’ve got all sorts of tips and tricks just like you found in this Guide scattered throughout the rest of my site. If you have questions about PAYE, any of the other IDR Repayment Plans, or anything else related to student loans, please do feel free to post them in the Comments section below and I’ll do my best to get you a quick response! This website is only available thanks to the small amount of money I make on advertisements each month. The only way that this site can survive is if you help me out by sharing it with friends, emailing it to your family, and liking or sharing my links on Facebook or Twitter. If you learned something from this page, please help me out by sending this link to someone else. Thank you for visiting, and thank you for doing your part to help keep this site running! I have been paying back my loans planning on applying for PSLF. I am currently in the PAYE plan, I have made 51 qualifying payments so far with ~220k left on my loans. If I reach a point when my payment is more than what it would have been on the standard 10 year plan will I get kicked out of the PAYE plan or does the payment get capped at that amount? The Pay As You Earn Student Loan Repayment Plan has some really specific rules about who can utilize it, but if you do get dropped from PAYE, you can just enroll in REPAYE, which is basically the exact same plan. Quick question. My PAYE loan amount is 100k, I make 50 k a year. If in the first 5 years my income triples will they continue to take 10% for the remainder of the balance and do they stop when the loan amount is forfilled or do they take the full 240 payments and I end up paying a bunch more than needed? Thanks. Each year you have to recertify your income and your monthly payments are set based on how much you’re making. If your income triples, you’re going to be paying much more each month, but you will NEVER pay more than you owe. Once the loan balance is paid off, it’s done and gone. You definitely will not be making 240 payments if you’ve already paid off the balance earlier. To make a long story short, I’ve been paying off my Federal and private loans for 11 years. (I had another college loan elsewhere that I paid off in 3 years.) When I graduated, I had difficulty getting a job and making my $1000+ (principal + interest) monthly payments for Sallie Mae. When things got tough, SM told me I didn’t have any lower repayment options and steered me towards a forbearance. Of course, I didn’t know there would be a fee until once we started the application. I also had to do deferment on my Federal loans. Once those ended, I was back to the $1000+ monthly payments. After about a year or two struggling, I was again told that I was already on the lowest repayment plan; so I had to do a forbearance and deferment again. The time period ended, and I was back to the $1000 a month. Again, I was able to make the payments for a bit. I also had a job working at a public library, so I was hopeful to qualify for loan forgiveness. However, I learned that I didn’t because I didn’t work 30 hours (mine = 25-28 average.) Ultimately, I was going to have to do a forbearance/deferment again. This time, the SM rep recommended I considering doing a lower repayment plan. I told the rep that I was already on the lowest according to SM. Well…he/she checked and said I could do an interest-only repayment plan. (What?!) I could do it for a total of 4 years (2 year increments.) I also asked if I could still put extra money towards my loans. Yes! Naturally, I decided to switch to the repayment plan. What I want to ask is…when did the interest-only repayment option with Sallie Mae start? Was it always an option and shady SM didn’t let me know? It was annoying that I would always be told something different by a SM rep. (I actually have it documented…but no actual recordings.) Thanks. Sorry to hear about all the trouble you’re experiencing with your loans! If it makes you feel any better, your experience is not atypical. I get comments like yours ALL THE TIME from people struggling under similar circumstances. Student loan debt is a killer, and especially when you have private loans, which there isn’t much you can do to get rid of. My suggestion for you is that you make sure that you’re able to find a job that qualifies for the Public Service Loan Forgiveness Program and to make certain that you’re also enrolled in an eligible Income-Driven Repayment Plan (PAYE counts, so does REPAYE). The Interest-Only option may not qualify you for PSLF, so I’d be very skeptical of using this plan if you’re counting on getting your loans wiped out via forgiveness, but remember too that PSLF only offers Federal Loan Forgiveness, so it won’t impact your Private stuff at all. If you need help with Private Loan Forgiveness, check out my page on that here. I’d be extra cautious about using interest-only, however, if it means that you’re going to accumulate more long-term debt than the alternative. You should be doing anything you can to avoid your debt building month over month, because allowing a year or two of interest buildup is typically what causes people to get completely trapped in debt for life. I am about to apply for the PAYE plan but I did see the thing about Trump proposing a halt on the program. If we are already accepted would we be grandfathered in to keep the plan, until we aren’t qualified anymore? Or would it completely erase the plan? Yes, you should get enrolled in the plan right now in order to have grandfathered protections in case Trump and Besty DeVos eliminate it. For details on what could be coming, be sure to visit my page on President Trump & Betsy DeVos’s Student Loan Debt Reform Plan. 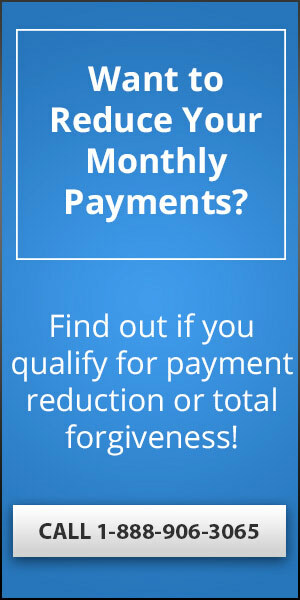 It’s not actually 20 years to get forgiveness, but 20 years worth of payments, meaning 240 monthly payments have to be made for you to receive forgiveness. So, each payment that you miss making while your loans are in forbearance simply won’t count against your 240 payment threshold, and that will delay the forgiveness for you, but that’s it. Ok! Thank you so much for clearing that up for me! I have Direct Subsidized and unsubsidized loans and direct consolidation loans. What should I do if I have multiple loan servicers, if I want to enroll in the PAYE? Should I consolidate all of my loans first and then apply for PAYE? Consolidation is a bad idea because then your Subsidized loans would lose that status, and you’d risk losing eligibility for other benefits as well. I would enroll in PAYE on all the loans (that qualify) and REPAYE on the others. I recently got married and foolishly filed taxes with my spouse. He makes considerably more money than I, $150,00+ while I bring in 21,000. If I start the PAYE plan now (we filed jointly 2015), am I stuck making payments under both of our income or will I be able to resubmit something the following year after filing separately?? Thanks in advance! No matter what, you’re going to have to file taxes jointly, so you might as well start PAYE (if you can qualify… you probably won’t since his income is so high). You’re probably going to need to sign up for REPAYE instead. This loophole (being married and raking in tons of income, but filing separately so being able to take advantage of the forgiveness programs created for ACTUAL poor people) was closed years ago. Jan 2017, any updates to the PAYE regarding PSLF caps at 57000? Did those 2015 proprosals go into effect? No caps put in place, and the proposal is dead. It’s not going to happen, so you’re all set. I just started the PAYE program in July, 2016. When I started my balance was at $453,873.47 (original balance of $389,610). I don’t think I’ll ever pay the balance of my loan off in the 20 years as just the interest alone is almost $30K for this year. So I’d have to make $300K just to cover the interest. I’m paying about $15,000 for the first year (based on my income of $150K). My questions is, will there be a tax liability for me after 20 years when my loan is forgiven? I heard that I will be taxed like it was ordinary income on whatever balance I have left, and I’ve also heard that only any interest that I haven’t paid is what my tax liability will be. I want to start putting money away to plan on covering those taxes so trying to find out. Also, I’m a dentist; would I qualify for the Public Service Loan Forgiveness? I think you’ve won the contest for highest student loan balance ever. I can’t recall hearing about anybody else really even crossing the $350,000 threshold, so congratulations on that! Remember – you don’t have to pay off your balance in 20 years, that’s the whole point of the program. Whatever you have left after making 20 years of income-based payments is going to get forgiven. There are certain instances where the remaining balance forgiven gets taxed, and others where it is not taxed. It’s possible that you will have a tax liability, but I think you’re going to need to speak with a CPA to make sure. Also, it’s POSSIBLE that you could qualify for Public Service Loan Forgiveness, but that depends on your specific employment details. Did you read my page about PSLF Benefits? Take a look at the eligibility conditions and you’ll have to figure out if you qualify. For assistance, I would considering calling the Student Loan Relief Helpline. This is a for-profit company that handles Federal student loan consolidation, forgiveness applications, etc. You can pay them to handle everything for you, but you could also simply ask them questions and probably sort out whether or not you qualify for PSLF, without having to spend any cash. You can reach them at: 1-888-694-8235. I am not sure if I got scammed or not, but I did fall for paying a nice hefty fee to get loan forgiveness through a company called First Grad Aid. I am not sure what I should do. I was told that I have the Revised Repay As You Earn plan, which I would have $0 payments for 300 months and then once the 300 months have passed, I will not owe anything. Does this sound legit? Also, I am a part-time college instructor, would my teaching be considered as public service for loan forgiveness? Contact whoever services your loan and ask them which Student Loan Repayment Plan you’re actually on. Confirm with them that you’re eligible for Federal Loan Forgiveness, and ask how many payments you’ll have to make to earn it. I think it will be 240 (20 years of payments), because your part-time college teaching isn’t going to be enough for the Public Service Loan Forgiveness Program (those benefits require full-time employment in an eligible position). Can you give me primary source documentation pertaining to Capitalized Interest? My interest has capitalized and has surpassed the 10% mark. I’m not an official representative of the United States Government, or an attorney. I won’t be providing any “primary source documentation” for anything, but you have access to Google, and you should be able to find everything that I ever have using their search engine. I am currently going to be laid off and I was wondering what is better… Unemployment deferment or getting on REPAYE (Revised Pay as You Earn)? I have both subsidized and unsubsidized Loans. I also have a Perkin’s loan. Should I consider loan consolidation at this time before getting REPAYE? Be careful with loan consolidation. If you consolidated a subsidized loan with an unsubsidized loan, then you’d lose the benefits that come with subsidization. I would NOT consolidate those loans together, but keep them separate and deal with them differently. First – try to line up a new job ASAP, as being out of work is just going to make things worse. Second – you can put your subsidized loan into deferment without worrying about interest racking up, so try doing that for as long as your lender will allow you to, and do EVERYTHING YOU CAN to keep making payments on the unsubsidized loan. Do NOT let your loans fall into default status, because that’s basically the worst case scenario, and once that happens, you lose all sorts of awesome benefits. 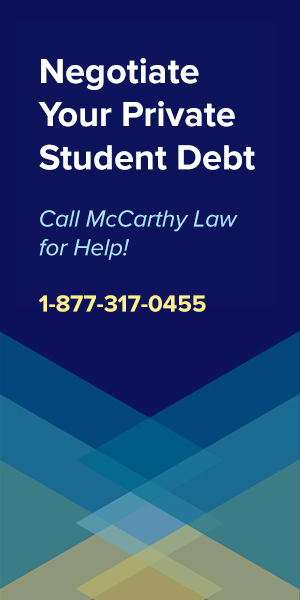 Third – you may want to call the Student Loan Relief Helpline and ask for their assistance in determining how to proceed. These guys are serious experts at restructuring and handling excessive student loan debt. If it’s possible to reduce your monthly payments, they will find a way to do it. If you qualify for some forgiveness benefits, they will alert you to them. You can reach them at 1-888-694-8235. I am 55 years old, got remarried in May 2015; my husband is retired and only has unearned income. I have Parent Plus Loans (Federal with Navient) to the tune of $50,000.00, which are currently in a forbearance. The first payment is due next month, a week before I will have major shoulder surgery, and will have no personal income for 6 months. Because my new husband has some investments, I have decided it would be best to not file a joint return, as I, in no way, want him responsible for these loans I had prior to marriage. When I obtained the forbearance a year ago, Navient said that I should probably apply for a consolidation loan. I was just reading up on repayment of consolidation loans, like possibly under the PAYE (Pay as you earn) option that our president signed into law. But I read that even if we file ‘Married-Individually’, that his income will be considered when they calculate a repayment plan. So, with all that being said…I understood that we should not file joint because of my loans, BUT, if the ONLY worry I would have if we filed ‘joint’ is that they might take some of his tax refund, then I might as well consider filing ‘joint’, as we’d do better with what we owe. If we file jointly, I don’t want them billing him or making him responsible for my loans. Are you aware of how this works? Also, If I consolidate, will they consider all of his income, even though all of it is unearned? (It’s primarily Social Security and a little money he takes from his investments monthly). I hate to pay an attorney to get these answers, but I will if I have to. But I saw your site, and thought you might have some information. I am an office clerk, made $18k last year, and this year will be half of that since I’m having surgery next month. I apologize if my information seems disjointed…just trying to state the facts. Any information or ideas would be greatly appreciated!! Thank you very much in advance! Don’t worry about consulting with an attorney, but definitely talk to a CPA! They’ll be able to give you the best advice on tax issues. Make that 3 questions and again sorry but reading some of the comments I can really see that you have a firm grasp of this whole loan process. Question 3) if both you and your wife have loans and are enrolled in PAYE how to they determine your 10% income when you have to pay 2 separate loans to 2 PAYE programs. My wife and I file our taxes jointly. Thank you , very interested in this answer. 3. Good question! I would speak with a CPA about this. It’s going to be based on your tax returns, and a CPA or whoever does your taxes should be able to give you full details. 1) I was wondering if you know exactly when in December the changes for PAYE will take place and allow older borrowers from before October 2007 will be allowed in? 2) with the PAYE plan if my payments pay off my student loan before the 20 years are up do I still need to keep paying; and if I use the PSLF program and the cap is 57,000, does that mean on year 10 of public service my loans would go from 100,000 to 33,300 (100,000-57,000) and then you would stay in PAYE until the remaining debt is payed off? 1. Changes are in place now. They were updated in Oct/Dec time frame, back in 2015. 2. You do not need to keep paying if your payments cover the entire cost of the loan. The cap will not be coming. No one has even brought it up since it was originally introduced, it’s dead in the water. Thank you for this wonderful website. I just graduated and I am eligible for ICR, IBR and will be eligible for the new Pay as you Earn. I also work at a public university so I will be eligible for the ten years public service forgiveness. Unfortunately, I am one of those people that has very high debt. Under the new rules my debt won’t be forgiven after ten years working at a public institution. My questions is: If I consolidated my loans and entered repayment right now before December 2015, would I be under the “old rules” for ICR and IBR? Would my debt still be forgiven after 10 year of public service? ( Could I not count the future husband (who I don’t yet know and feel bad making responsible for my massive debt) on my income? 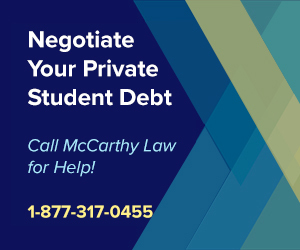 Or will the “new rules” prohibiting the forgiveness of large student debt apply to those plans set up before the December 2015 plans go into affect as well? There are no new rules yet for Public Service Loan Forgiveness, and even if you’ve borrowed well over the previously proposed $57,000 cap, you will still have access to complete student loan forgiveness after making 10 years’ worth of qualified payments. Be VERY careful about consolidating your loans! First, do not consolidate any Federal loans with Private loans, because you’ll lose all access to Federal benefits and assistance. Second, don’t consolidate different types of Federal loans together, because you could risk losing some of the benefits for certain loans (like Perkins loans consolidated with non-Perkins loans losing access to Perkins Loan Forgiveness). You need to be VERY careful about any consolidation of student loan debt, and I would advise against it unless you’ve had an attorney and/or financial adviser review your plan. In short, don’t worry about the $57,000 cap that was discussed many months ago – it hasn’t been brought up since – and don’t consolidate your loans unless you have the plan reviewed by an expert before going through with it. I have a question. Let’s say that when I graduated and qualified for PAYE my monthly repayment was set at zero because it was based off 2014 taxes. This year I worked for a company and made like 40k. However I might be unemployed soon. Yet on my taxes it’ll say I made a lot more and that won’t be the case (in terms of future finances). Can I submit documents to readjust monthly payments based on most current or will I be forced to pay monthly based on 2015 taxes even though that will not be my current situation. Secondly, how would I go about doing this, if the option to evaluate current not 2015 taxes were a possibility? Unfortunately, I don’t think you can do this. As far as I know, the repayment amount is set based on your previous year’s IRS tax filings, and payment amounts are only updated annually. However, since you have Federal Student Loan Debt, I’d recommend calling the Student Loan Relief Helpline and asking them about it. They will be able to tell you exactly how the process works. You can reach them here: 1-888-694-8235. Please note that the Student Loan Relief Helpline is a private organization that offers consolidation/refinancing products and services. They’re not a Government Agency, but I refer people to them all the time because they are true EXPERTS at sorting out what you can do, what you qualify for, how best to structure your loans, etc. I am set up on the PAYE repayment plan but I have a unique problem. My husband and I have separate bank accounts and split all bills. His money is his money and my money is mine. We have to file our taxes together to keep from paying in thousands of dollars. Due to this I have to include his income in my PAYE repayment, making my payment $658.00 a month. This is two of my paychecks! Is there any way besides filling taxes separately that will allow my payment to be based off only my income? Can I provide bank account information and pay check stubs to show my income? The short answer to your question is “No”. Unfortunately, if you file taxes jointly, then both your incomes will always be included in the calculations to determine your monthly student loan payments (regardless of which Income-Based Repayment Plan you’re enrolled in, meaning PAYE, Income-Contingent and Income-Based Repayment). Sorry to be the bearer of bad news here. Quick question. I was eligible for PAYE so I signed up, and it was great for the year I was facing financial hardship. Now I tHe a job as a pharmacist, and am making good money. I want my payments to remain 10% of my annual income, and stretch it out over 20 years to just have it forgiven. I know this is probably not the best option, but I want to start living my life. My question is, now that I am not in financial hardship, I won’t get booted from the program correct? I just keep making my adjusted monthly payments for 20 years and I will be fine? Or do they ‘re-evaluate your financial hardship annually and kick you from the program if you don’t ‘re-qualify each year? 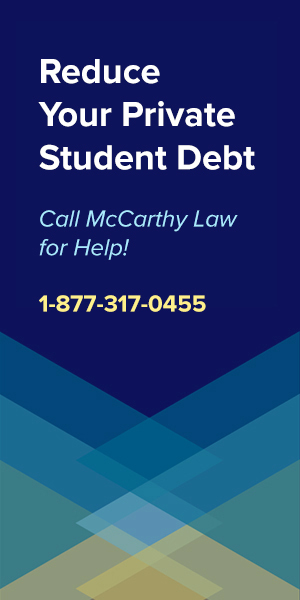 If I were you, I’d read my page about PSLF (linked to above), and I would contact the Student Loan Relief Helpline to ask them for advice on the best way to structure your debt. This is a private organization that offers products to help you reduce monthly payments and apply for loan forgiveness benefits, and while some of their services cost money, you could probably get some information out of them for free over the phone. 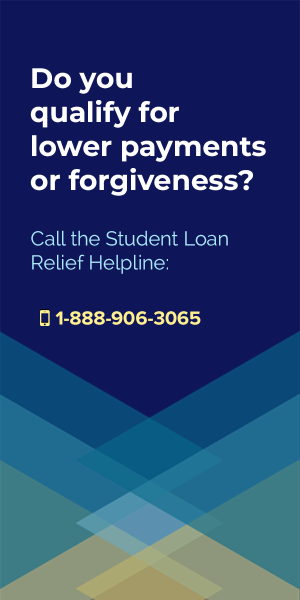 You can reach the Student Loan Relief Helpline here: 1-888-694-8235.
i currently have a large chunk of private student loans, with a monthly payment of $1000. Currently my federal student loans are in deferment but they should be back in repayment in October or November. My private loans currently cost me half of my net income per month. I know that the pay as you earn program has a payment of 10% of discretionary income but what if you do not have any discretionary income. Looking at the repayment calculator even with the pay as you earn my monthly federal student loan payment would be around $200, leaving $800 for housing, food, transportation and medical expenses. if there any way to have the private loans payment be considered for income repayment for the federal loans or anything else that can be done? 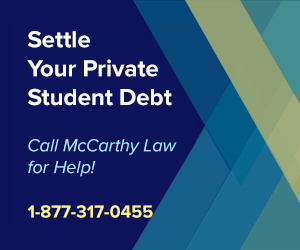 Unfortunately, Private Debt and Federal Debt are treated separately when it comes to determining your payment for any of the Income-Based Repayment Programs. There’s no easy to answer to this question, and I don’t have any really good advice for you other than trying to earn more money or spend less on non-essentials. When it comes to student loan debt, there really is no silver bullet. Thank you for sharing those links with the audience here! I just read through the abstracts and I’m curious to hear what you think the best solution to each of these issues would be. For the Law School Tax Liability Bomb – it sounds like you think the law should basically remain as is, but with an amendment to allow people to pay the taxes due on their forgiven debt over a period of several years (rather than all at once)? That sounds like a great idea to me! For the REPAYE Plan – this was very interesting to me. I had thought that President Obama’s promise was to open up PAYE to everyone, regardless of when they took out their loans. I’m going to have to investigate this REPAYE plan further, because I wasn’t even aware of it yet. Thank you so much for bringing it to my attention! Hey I have a question.. Lets say I am qualified for the pay as you earn repayment plan for the 1st 5 years. I know make 80k.. What happens then? Do I get kicked out of the program and will have the pay all the interest that’s accrued by me not paying for the past 5 years? Would the 5 years that Ive already been in the pay as you earn plan still go towards my term if I am switched to the income contingent repayment plan?Or will it restart and I will have to end up paying all my loans? And while I am the forgiveness plan will my credit look bad as if i’m not paying my loans? Good question! You will get kicked off the PAYE plan and have the option of moving to one of the other Federal Student Loan Repayment Plans. I believe that you will, by default, be put on the Standard Repayment Plan, but you can change your plan at any time, so you won’t have to worry about that. You will NOT be forced to start over and you will not end up having to pay the interest that you were not paying previously. Basically, nothing will be retroactively applied to your account, but you WILL no longer have access to the other benefits of PAYE. Your credit will NOT be negatively affected by being enrolled in PAYE, or for using the forgiveness benefit once you actually qualify for it. That is absolutely not how this works. I have been paying student load for the past 10 years. I have loans for graduate and undergraduate both were complete in 2006. I work under contracts, which mean there are times I don’t work. I have struggled making these payments on time. I have a student loan over the limit of forgiveness, but I have been paying over 10 years. Will this count toward one of the plans? What do you mean that you have a student loan over the limit of forgiveness? As of today, there are no limits to the amount of money that you can have forgiven. That $57,000 limit discussed has not yet (and likely won’t ever) be made into law – it was just a proposal. No one knows for sure, but everything I’ve read assumes that if PSLF does get capped, it’d only apply to future participants of the program. Basically, anyone already in college would be protected against the decreased benefit. I don’t think you’d have anything to fear at all. And, fortunately, I still haven’t seen any actual movement on getting these changes passed into law. Can I sign up for the pay as you earn while still having at least 2 years of school left? You can get on the Pay As You Earn Plan as soon as your repayment period begins. Some loans don’t enter repayment until graduation, others are different. Check with whoever services your loan to see if you can get on PAYE now. I have pay as you earn and my monthly minimum payments are $0. I can’t seem to get a straight answer about this working toward the 20 year forgiveness. Since my payments are 0 and I am paying technically the 0, does it count toward the 20 year loan forgiveness? YES! A $0 payment still counts towards the 20 years of required payments. This article was very informative. I have the same question as above, -however – Now that the law has passed, do you know if the $0 payment still counts as a “qualifying payment”? And do you know where I can find an income limits and repayment schedule? One more question, loan discharge can be given for schools that have “closed”, but is there a forgiveness for colleges that are open, and have provided false data about job placement for their graduates? Yes! $0 payments definitely do still count toward your required number of payments. Yes, there is also a Closed School Discharged AND there is a discharge for schools that lied about job placement, salaries, or other expectations. Read my page about the Defense Against Repayment Provision for details. As of right now I am predicted to graduate from medical school this May. Currently, all of my loans have been disbursed, and I do not plan on taking out any more new loans. Ideally, I would like to consolidate my loans into a new loan and then enroll in the PAYE repayment plan THIS MAY (2015). However, I have a question regarding my current eligibility for PAYE, I took out a Stafford and Perkins loan prior to October 1, 2007. I also took out a Direct Loan and Stafford Loan AFTER October 1, 2007 and I received a disbursement after October 2011. I have paid off the loans taken out prior to October 2007 in FULL. Will I be eligible for PAYE (once I GRADUATE this May and consolidate all my other loans into a “new” loan that were taken out AFTER October 2007)??? I’m not sure if I’m eligible for PAYE because the Loans I had prior to Oct 1 2007 had an outstanding balance when I took out all my other loans. However, they no longer have any outstanding balance since they have been paid off in full. I would greatly appreciate an answer to this question. Tricky question with a lot of moving parts – I BELIEVE that you will be eligible for PAYE because your loans prior to 2007 have been paid off in full. However, you will want to verify this with someone at Department of Education before proceeding (because doing the wrong thing could cost you tens of thousands of dollars). I would suggest getting in touch with the Federal Student Aid Information Center, who you can reach via phone here: (800) 4 FED AID [800-433-3243]. First off, great site and thank you for educating people on student loans! Here’s my situation: I’m currently paying off $88,000 in Direct Loans and I pay roughly $330 per month in IBR. The proposed changes to allow more borrowers qualify for PAYE sounds great at first, as my payments drop to around $220 per month. However, if the proposed “negative” changes occur, you may find me doing my best Bohdi from Point Break impersonation (if you catch my drift). I keep my payments low because I file separately from my wife. Filing jointly will immediately shoot my payments up to the max, which we could not afford to pay our bills if this was the case, let alone have a child which we plan to do in the near future. Also, I’m banking on the full amount being forgiven after 10 years through PSLF, not just $57,000. Again, this would be incredibly damaging and a significant life changer. This may perk you up a bit – as far as I know, NO ONE has spoken about implementing the negative proposed changes, not even once, since they were originally proposed. I think the odds are low that they will actually get made into law. HOWEVER, with that said… this is politics, and anything can happen. The best news I can share with you is that I think even if all of those negative changes were put into place, you would be protected from them, as they would likely not go live for existing borrowers, but only for future borrowers. So – keep your fingers crossed. You’re not the only person facing this situation, and you will probably end up doing just fine. Thank you very much for this article, it is very informative. I am planning on using the PAYE plan and was wondering, is the 10% cap on interest capitalization just for subsidized loans or unsubsidized as well? I have about $158,000 in unsubsidized loans and my payments will be no where near the amount of interest accruing each month and I want to make sure that at the end of the 20 years I won’t have $350,000+ of unearned income when the loans are forgiven. Thanks! The cap applies to both subsidized and unsubsidized loans. But please tell me that your $158,000 is going toward a degree in STEM or some graduate training, and is not for an undergraduate degree in Communications (or something similar). Be careful borrowing so much money – you should only be borrowing as much as you expect to make the first year after graduation. Does this mean that even those with loans dispersed prior to 2007 will become possibly eligible for PAYE? Also, is it true that if you consolidate your loans, your are eligible (if you qualify) for deferment and/or forbearance even if you previous accessed these options? The short answer to your PAYE question is “Yes”. I’m not sure on the consolidation making your eligible for more deferment or forbearance, but I will find out and update this comment once I know for sure. My name is Robert. I am a medical student graduating in May and currently has a high balance of student loans of nearly $350,000. My income is projected to increase after 3 years of residency at low salaries. However, as a pediatrician, I project that I would continue to qualify for partial financial hardship according to the PAYE definition despite the higher salary due to the very high balance of student loans outstanding. Unfortunately, I have taken small amounts of loans prior to October 1, 2007. Great Lakes my loan service company tells me that I do not qualify for PAYE treatment even though I opt to pay off the entire balance of all loans dated prior to the October 1, 2007 date. Question #1: With whom may I discuss my situation to verify whether I qualify for the PAYE method of repayments by paying off the older loans (obtained prior to October 1, 2017)? Question #2: What is the status of regulations to expand the eligibility of student loan borrowers for PAYE treatment prompted by President Obama’s Memorandum to the Secretary of Education dated June 9, 2014? Thank you for your comments and advice! Please keep up the good works! Question #1: You need to speak to a lawyer if your loan servicer is stonewalling you, but you could try by starting with the Student Loan Ombudsman Group (who are free), here. Question #2: Nothing has happened yet, but as far as I know, it’s still supposed to happen by December, 2015. I am a medical school graduate. I have 229,000 in loans including interest. I want to know what plan will benefit me or the plan I will be eligible for Pay as you go of income based repayment plan? What’s the difference between the two? Currently I have a job at private practice and my adjusted gross income is $47083. Edu support center keeps calling me to enroll telling me that I can sign for IBR plan with my monthly payment being $381 + $39 service charge each month adding to $420 for 300 months. How can I cut down to 240 months and avoid this $39 service charge? Where can I sign up for free without this added fee and they are also asking for $695 to sign me up…wth is that for I have no idea. Can someone please help me out in understanding everything? You will qualify for the Pay As You Earn plan if your loans were taken out on or after October 1st, 2007. If they were not, then you don’t qualify, so that’s an easy answer. As far as the Edu Support Center people – please do not sign up with them, especially if you only have Federal student loan debt. These companies can’t do ANYTHING for you if you have Federal loans! Even if you have Private loans, anything that these “consolidation” and “credit repair” type agencies can do, you can do yourself! All these companies do is negotiate with your loan servicer on your behalf. There’s nothing special about what they do either – they tell the loan servicer how much you make, and how much they think you can afford each month, then work out a price that makes everyone happy. If I were you, I would speak to the loan servicer directly and make an offer to them. Work out a monthly payment schedule that you can really afford. My daughter has $22,000 in Stafford federal student loans. She would like to work in a “low income” school district as described in the Teacher Loan Forgiveness Program. She is a science teacher at the high school level. If she applies for the PAYE and makes her on time minimum payments for 5 years (because she is a science teacher in low income district) would she then be eligible for the up to $17,500 forgiveness assuming that she stays with that low income district for the whole 5 years? Her loans are all since 2011. The short answer is “Yes”, as long as I’m understanding her situation clearly. Did you see my page about Stafford Loan Forgiveness? Reading it might help clarify things, but it sounds like you know exactly what the rules are, and I do believe that she’ll qualify for the forgiveness benefits. If you have Stafford loans disbursed before 2007 that were consolidated into a direct consolidated loan later, does that disqualify you from PAYE? For example, a stafford subsidized loan taken out in 2006 was paid in full through consolidation loan in 2012. Does this disqualify you from PAYE? On this one, I am not certain, but I believe that your Direct Consolidation Loan would not qualify for PAYE since it included a loan originally disbursed before 2007. You should check with your loan servicer though, as they’re the people who get final say on how all this stuff works. First of all, thanks for creating this site! Very helpful. Second, I have a question about pre-2007 loans. If you pay off loans disbursed before October 2007, can you then qualify for PAYE? For example, I have undergraduate loans from before 2007 and new graduate loans (after 2011). If you could clarify this for me, I would greatly appreciate it. Thanks so much! The answer to your question is YES! As soon as your pre-2007 loans are paid off, you’ll be able to enroll in PAYE for your loan from 2011! Also, does the consolidation loan payment plan (term) selected impact how the PAYE expansion may apply? Thank you for the kind words Bill! I don’t want to steer you the wrong direction, and I’m not 100% certain on whether or not that Consolidation loan would be eligible for PAYE. I believe that it is not because it has a component loan that was initially disbursed before October 1, 2007, but I may be wrong. To get you a for-sure answer, I would recommend that you call the Federal Student Aid Information Center (FSAIC) at 1-800-433-3243, or whoever is servicing her loan. The FSAIC rep will be able to give you an authoritative answer, but at the end of the day it comes down to convincing whoever handles loan servicing that they need to abide by the rules of the system (and sometimes those folks aren’t necessarily willing to cooperate), so be prepared for a potential struggle heading into that conversation. Good luck, and thank you again for stopping by! The loans referenced above were Stafford Subsidized Loans. All other loans were made after 10/01/2007. Do Stafford loans issued before 10/01/2007 disqualify my niece from PAYE as it is currently? This is the best description of the PAYE expansion I found online. Good job. In 2012, I helped my niece consolidate her federal loans that I think were initially granted before October 1, 2007. Can she apply for PAYE Expansion after consolidation of Federal Direct Loans? I’m Ina weird situation. I have about $40,000 in student loan debt. I graduate in May. I am also in the Army Reserve. I have SLRP via my contract which is 40K. My concern is this, my loans have not been payed on, I have filled out the necessary paperwork to do so and still nothing. So, I’m trying to do some damage control by looking at other options. I’m not sure if I qualify for PUblic service loan forgiveness because I’m a reservist, although I saw on another page on this site that reservists were included. So I’m not sure what I qualify for. 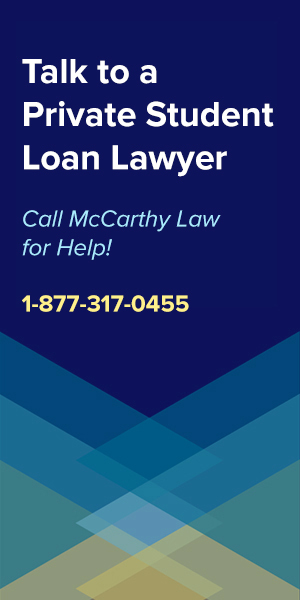 I talked to a third party loan consolidation place that I have no idea if they are s good source, NSLAC.org. I’m just at a loss as to what to do and what I quslify for and if reservists qualify for anything other than what it is in their contracts because they are not reliable. Thank you! DO NOT CONSOLIDATE with a third party! That will be your absolute worst possible option! (Any third party who wants you to pay them to consolidate is basically a scam). What you need to do is figure out why your SLRP payment hasn’t been issued, so start by contacting Army HRC to figure out what’s going on. My advice would be to send them a letter and call them right away to see what’s going on. And yes, you would qualify for Public Service Loan Forgiveness Program benefits, but the Military Student Loan Forgiveness Programs are more powerful, and better options. Since you have Army SLRP Benefits in your service contract, you should absolutely take advantage of it! I have a question about the IBR plan and overtime wages as I am not getting a clear answer anywhere on this matter. If you are on the IBR and you have overtime that is either not guaranteed or that fluctuates, is this suppose to be calculated into your payment? For example, if I made $20,000 last year, but earned another $7,000 solely in overtime wages, that would put me in a different payment bracket under IBR, but if that overtime is not guaranteed, it would not make the monthly payment affordable. And if it is not to be included, is there a specific form that is needed to prove this information? I think you’re going to need to include overtime wages, even if it’s not guaranteed, because IBR payments are supposed to be calculated on your annual earnings, and whatever you report here needs to line up with your IRS filings. Whatever you report on your taxes should be reported for the purposes of determining IBR payments. If you report anything different from what you file taxes with, you may find yourself in a serious bind. Thank you for all of the useful information you have gathered for those of us who have significant amounts of student loan debt. I just entered into an agreement about a week ago through the Obama program. I must admit, it does seem too good to be true. I currently owe over $100,000 in student loans. I just finished a period of forbearance and was about to enter regular scheduled payments of $200 for one set of loans per month and had not yet received the payment amount for the remaining loans that were in forbearance. Instead I was promised a monthly payment of $20 based on my income for a total of 300 payments that could be changed to 10 years instead of 20 years once I start working 30 hours or more per week. $20 a month is certainly something I could afford but what gets me is the initial payment if $1692. I’m feeling a little skeptical about this now and I’m not sure if I should back out. I received the contract and it states something about paying $499 after a year. The name of the program is Processing Services. Please help me to know if this is legit and how I can get out of it if I need to. I have not yet made the first payment of $1692 it is scheduled to come out of my account on the 3rd of January. Please help! Thank you! I wish I had seen this earlier, but I just returned from vacation! I would be very, very skeptical of this “Processing Services” if it’s a company based out of Lake Forest. There are some terrible reviews for them on Yelp, and their program sounds like a complete scam! You should not have to be paying ANY up-front money to sign up for President Obama’s Loan Forgiveness Program. To take advantage of the program’s benefits, all you have to do is enroll in the Pay As You Earn Student Loan Repayment Plan, which you can do for free, on your own, online, here. I really, really hope that you did not go through with this program, as it sounds like it could be a huge mistake. I just enrolled in PAYE and my first payment is scheduled for December. It will be $561.00. This is a god-send, as I am a first year attorney and don’t quite make the big bucks yet. I do have some concerns though. . .
1) If I do eventually (fingers crossed) earn more money and no longer qualify for the program – say in 5 years – will the unpaid interest (my monthly payments don’t hit the principle right now) capitalize onto my existing amount?? Or is this where that 3 year deal comes in? Do I read that correctly? If you are in the PAYE program for at least 3 years, you won’t have unpaid interest capitalized, even if you are no longer eligible in 5, 10, or 15 years? 2) To have to loans forgiven in 20 years, do you have to make 240 payments under the PAYE program? Or is this 240 payments at all? I guess I am mostly confused as to what happens if you no longer qualify for the program. Do you go back to the standard 10 year repayment plan, and thus no forgiveness is needed? 3) Is eligibility determined based upon the amount currently owed – or do you know what figure is used for each years eligibility determination? For example, it is foreseeable that in year 17 or 18 many PAYE borrowers will have a very low balance remaining on their loans and will be making more money than they were in year 5. Will this make them ineligible for continued enrollment in the program? And again, what payment system do they return to? And is the unpaid interest capitalized in year 17? I know. 3 years of law school and I still can’t figure this out. Sad, huh? I hope to earn more money in my lifetime, and there is a great chance that I will. I also want to be fair and pay back my loans in a manner in which I am capable, while leaving these repayment programs for people who truly need them. However, I don’t want to put myself at an unfair disadvantage by having my interest capitalized while trying to make affordable payments. 1) Past 3 years, if you are disqualified for the program, yes, your interest will capitalize. BUT, it’s limited to an additional 10% of the principal balance of your loan (using the number that you owed when you first signed on to PAYE). So… it’s relatively risky. You may want to pay a little extra each month to cover interest accumulation in order to avoid the capitalization later. 2) To receive forgiveness under PAYE you have to make 240 payments on an eligible repayment plan. Eligible plans are the income-based repayment plans (Pay As You Earn, Income-Based Repayment and Income-Contingent Repayment). 3) Eligibility is based on having a Partial Financial Hardship. See that section of the page for details. If you do get kicked off PAYE because you no longer qualify, then you return to the Standard Repayment Plan. Hope this helps! It’s not a simple program and there are a lot of variables involved. I’m a NY State affiliated worker, I’ve been in repayment for over 15 years. Is there a live person to speak with, at what number, to find out if I qualify for Loan Forgiveness? Yes! You can call the Federal Student Aid Information Center at 1-800-4-FED-AID (1-800-730-8913). They should be able to give you some advice. Come back and let us know how it goes! How can I apply for Obama’s Student Loan Forgiveness without having to go through the companies that are charging fees. The companies state that they their service fee must be paid upfront. You don’t need to pay anything to apply for the Pay As You Earn Plan, which is the official name of President Obama’s loan forgiveness program. Simply contact your lender and ask them what they require to move from your existing repayment plan to Pay As You Earn. As long as you qualify, they’ll have to help you through the process. Make sure you’re speaking with whoever services your loan (the company that you send your monthly payments to), otherwise you won’t be able to get anything accomplished. I was recently married to my wife this past August and tax time is quickly approaching. She currently has $70,000 in federal loans and has had them consolidated and entered into the PSLF program. She works for a non-profit organization and plans to continue to do so. As it stands we are under the impression they will be forgiven in 10 years. She makes about $40k a year and her monthly payment is $177. I make about $90k a year and have zero student loans. Come time to file our taxes they are going to see her income shoot through the roof and raise her monthly payment after they consider half my income as hers. I’ve read that filing separately is a way around this but according to this site https://www.forgetstudentloandebt.com/student-loan-relief-programs/federal-student-loan-relief/federal-forgiveness-programs/public-service-loan-forgiveness/ they are planning to get rid of this. Also adding to the mix is we live in Wisconsin which means even if we file separate we have to take both our incomes and split it and each report that. so she would be making $65k a year. This entire thing seems absurdly unfair since this was student loans she took out before we were ever married and we have chosen to keep our finances separate yet the way things are I’m basically forced to pay on her loans. Are there any options to avoid this or do we pretty much have to divorce on paper to avoid this unfair situation. My understanding is that it’s still possible to file separately and take advantage of that loophole in the law (but I do want to note that personally don’t agree that this should be possible). It sounds like the Wisconsin rule might screw things up for you, so you’re going to want to speak with a tax professional to figure out the implications here. Spending a couple hundred dollars for advice now could save you tens of thousands in the long-run, so don’t be stingy. I disagree though with your assertion that this situation is “absurdly unfair”. When you got married, you agreed to enter into a legal contract, and the law is eminently clear about the implications of that decision. Remember, student loan forgiveness programs will only continue to exist as long as people refrain from abusing them (like I would argue you two are clearly planning on doing). These programs really aren’t meant to be used by households with a combined income of $130,000 a year – they’re for people with incomes like your wife’s, or for those who can’t even find steady employment at all. While I hate to sound unsympathetic, I hear about much more significant financial problems from my readership on a daily basis, and actions like the one you’re planning on taking threaten the very lifeline that many of my readers rely on to prevent having their lives destroyed. Hi. I have many questions. I spoke to someone about consolidating my student loans and signing up for the pay as you earn plan. Right now I am currently unemployed because I’m a full time student. I will start working April 2015. My annual salary will be $125,000, but I have the potential to work overtime or extra hours somewhere else. I will not be working in a public or government facility. I am single with no kids. What do you reccomend I do? Do I make too much money? Should I just pay my loans normally? According to my student loan representative, I will pay $750 a month for 120 months. Do these numbers seem right to you? He spoke to me about the PAYE plan. It seems too good to be true. Oh, he also mentioned paying $266 a month for 3 months in order to pay for the consolidation. My student loans are all federally-funded, and I owe about $140,000 total. Congratulations! You borrowed just barely more money than you’re expecting to make your first year out of school, so you will likely be able to pay off your debt (even though it’s a massive debt) without running into major financial problems. First off – don’t pay anyone to consolidate your loans for you. That’s something that you can do yourself, for free, simply by filling out some paperwork (check out out Federal Student Loan Consolidation page for details on that process). Secondly, when were your loans first taken out? If your loans were taken out early enough, and qualify for Pay As You Earn, then you can enroll in the program on your own, and won’t require any assistance from any company to get that accomplished. Third, are you going into healthcare? Will you be working for a nonprofit? Look into the Public Service Loan Forgiveness Program, because that might be your best bet at getting out of debt quickly. And Fourth, you’re going to be making plenty of money to afford your payments, so the cheapest, best long-term solution to your debt (if you don’t qualify for PSLF) will be signing up for the standard repayment plan and making monthly payments in full, and on time. The standard plan has the highest monthly payments, but costs you the least amount of money in the long-run, so I think it’ll end up being your best bet. Fantastic forum, Tim. My question is this, if I qualify for pay as you earn for 19 years, and lose my status in year 20, do I then have to start over under another plan? If that were to happen, would my new standard rate be significantly elevated due to the undoubted interest accumulation under pay as you earn? Thank you for you help. Are you referring to the Partial Financial Hardship qualification piece of the eligibility guidelines? The good news is that I think this requirement is planned to disappear once PAYE is opened up to everyone with Federal student loan debt (which is part of Obama’s Fiscal Year 2015 plan), so I wouldn’t worry about that piece. However, one thing to keep in mind is that even if you do qualify for PAYE, and finish making the 20 years of monthly payments required to receive loan forgiveness, you will end up getting taxed for the amount of your remaining debt which is ‘forgiven’, since that will count as income according to the IRS. SO – while PAYE is awesome in the short-term, just remember that there’s no free lunch, and make sure to start tucking away some cash for that eventual huge bill that’s sure to arrive down the line. If you qualify for the PAYE repayment program and then several years later are no longer facing a financial hardship, will you then become ineligible? On the repayment calculator, based on my current income to debt ratio, it states that nearly double what I currently owe will be forgiven after the 20 year period, and I will only pay my principal plus about 11,000 in interest. Does this seem like it could be accurate? If your income is such that you have a $0 monthly payment for an extended period of time, does this affect the 20 year repayment plan? Does a $0 payment count as an on time payment? FYI – I am a recent law graduate. I am 1 year into the PAYE repayment program. I plan to take a few years off for children in the future. I currently work full time for a firm in a small town and make a decent income, which was used in the calculator. This is the second time I got that first question about PAYE and losing eligibility, so I looked into it and found some additional detail. Once you qualify for PAYE, and enroll in the program, you won’t get kicked out of it, even if you lose eligibility. What will happen, however, is that your unpaid interest will be capitalized, and your monthly payments will be recalculated as if you were enrolled on the 10 year standard plan. The bright side is that you’ll still reap major benefits from being enrolled in PAYE, for as long as you qualify, and the bad news is that the gravy train ends once you no longer really “need” the benefits (need in quotes because it’s according to the Government’s eligibility rules). It could be accurate because of interest accumulation and recapitalization. The bad news is that whatever amount you have forgiven will be counted as taxable income during the year it’s forgiven, and you’ll end up with a larger-than-normal tax bill, so be prepared to face that and start storing some cash along the way. A $0 payment DOES count as an on-time payment (which I think is crazy, but it’s the truth). However, remember that not making any payments leads to racking up additional interest, which, when compounded, then recapitalized at some point is going to massively inflate the total balance of your loan. That wouldn’t matter if you weren’t planning on paying it off, except for the point that I alluded to above, in that when that inflated loan balance gets forgiven, you’ll be hit with a huge tax bill. Lots of things to consider here, but at least it’s a straightforward process. Sounds like you’re in a pretty good financial situation for a recent law graduate (I know quite a few in some difficult situations), so keep up the good work, remain financially responsible, and start storing some of your money for that tax bill that’s sure to come 20 years from now. Thanks for stopping by Allison, and good luck! Thank you for the reply! I really appreciate you maintaining this forum! I took out a Stanford loan prior to October 1, 2007. I also took out a Direct Loan and Stafford Loan after October 1, 2007 and received a disbursement after October 2011. I still had an outstanding loan balance on the first Stafford loan until recently (paid off in 2014). I was going to consolidate my other two loans and enroll in PAYE. But I’m not sure if I’m eligible for the repayment plan now because of that prior loan. Am I still eligible for PAYE if I had a loan prior to Oct 1 2007 that had an outstanding balance when I took out my other loans, but is paid back in full now? This is a tricky question – as I originally understood it, you would NOT be eligible for PAYE because you had an outstanding loan balance prior to October 1st, 2007, but I do believe that you WILL qualify for the program now that you’ve fully paid off that loan. The only way to know for certain is to contact whoever services your loan and let them know what you’re planning to do. Even if I say “Yes, you can do that”, it wouldn’t matter because what they say goes. Your best bet is going to be to contact them and see what they say. Sorry I can’t give better advice here! Good luck! You have already addressed this question but I am still a little confused. I have about 51K in student loan dept. If I apply for PAYE repayment with the intention of paying over as much as I can does the extra money get applied to the interest or the principle? Is this a good idea or no? Is there a benifit to paying off a PAYE early? It says that if you no longer qualify for PAYE the remaining interest gets added onto your principle, what does that mean? Extra money sent in your monthly payment will be put towards principal. It’s a good idea if you want to pay off the debt more quickly, because it reduces the amount of time that your loan will be accumulating interest, meaning that you’ll end up paying off the loan sooner. 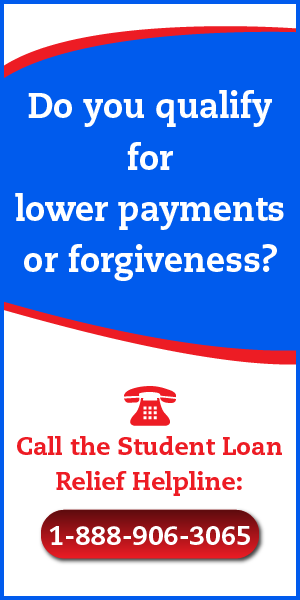 However, depending on what your monthly payments will actually be (which is based off your income under PAYE), you may not need to finish paying off your loan (ever), because you may end up qualifying for forgiveness at some point (after 240 payments, or 120 payments if you qualify for Public Service Loan Forgiveness). If you no longer qualify for PAYE, then whatever interest is left on the loan gets added to your principal, meaning that the total amount of the loan gets bigger. The only way to figure out what will work for you is to put in some time to planning it out over the long-haul, using the Federal student loan estimator, and determining which plan, and what strategy, will work best for you. First off, thank you for all of this information! Something I’m concerned about it the possibility that PAYE or the Public Loan Forgiveness Program could change within the next few years. I am nervous to take out loans to finance my education with the idea I’ll only be paying 10% of my income and then find out with the next President my plans are destroyed. What are the chances of this happening, in your opinion? With PLUS loans I feel like I should just take out the maximum to cover all of my living expenses, tuition, etc since I’m going into social work and regardless of my debt I’ll only be paying 10% each month, right? My personal opinion is that these programs will be enacted as specified here, and that anyone with loans previous to negative changes to the benefits will be grandfathered into the better option. I’m assuming that the Government won’t ‘screw’ it’s borrowers here, which is honestly a major risk. I would not recommend borrowing any more money than you absolutely have to – and only advocate borrowing enough for actual school expenses. My page about Avoiding Student Loan Debt goes into great detail about this subject. Technically though, your analysis appears to be correct to me. As long as you’re able to enroll in the Pay As You Earn Program, your monthly student loan payments will be limited to just 10% of discretionary income. Additionally, if you’re going to become a Social Worker, you should be eligible for the Public Service Loan Forgiveness Program, so you’ll be able to have the entire balance of your student loan debt forgiven after you’ve made 10 years of payments on that debt. Just make sure that you’re prepared for the big tax bill that’ll hit when your debt is forgiven, because it counts as income on your IRS filing! I teach at a four-year public college. Does this qualify me as working in the public sector, and the 10-year forgiveness plan? I would speak with your lender as soon as possible to confirm that this is true. (In reality, the lenders have all the power when it comes to student loan debt, and no matter what the Government guidelines, or writers like me might say, it’s the lender who has to agree with your interpretation of the law). Make sure that you’ve lined up everything they need, then keep your head down and don’t miss any monthly payments! My lender is Sallie Mae. Does this qualify? Contact them to find out if you qualify. Unfortunately, the lender has final say in the process, so no matter what I tell you, it really won’t matter. Make sure that your loan conforms to the eligibility criteria in the post, otherwise you’ll just be wasting your time. I was offered a plan that is supposed to cut my student loans really good. They called their company Student Loan Forgiveness. The plan they offer sounds really good, but I have to come up with money up front to pay their fee. Is this lagit and how can I be sure it’s not a con. Many of the companies offering to cut student loans down for an upfront fee are attempting to scam people, because there’s nothing they can do that you can’t take care of yourself. Are your loans private, or Federally-funded? is there someone somewhere that I can call and get imediate response. Need to get this done right away. seems like this pay as you earn plan will work for me. Just need to talk to someone directly. Is that possible? Call whoever is servicing your loans and ask them for details. They’re legally obligated to inform you about your options, and they’re the only people with all the information needed to determine what will be possible for you. Your loan servicer is whoever you sent monthly payments to, so it shouldn’t be too hard to get in touch with them. Just check your statements (bills), and you should find a contact phone number. I’ve been contacted by a company stating they are able to reduce my student loans payments by enrolling me in the PAYE plan, but they charge a $500 fee to do this. Is there a fee for enrolling, assuming I qualify? Can’t I just enroll in PAYE from the studentloans.gov site myself? Do not agree to pay $500 to get enrolled in PAYE. This is a common scam I keep hearing about lately. You can definitely enroll in the program yourself. In the future, keep in mind that any company asking for up-front money to help you with a Federal student loan is almost certainly a scam. – I have a federal consolidated loan with sallie Mae that was combined from two ffel stafford loans (1 subsidized, one unsubsidized). Can I reconsolidate into the DL program to qualify? I’ve been told yes by the DL program people and the SM people acted like they didn’t know what I was talking about. – Can you file as married filing singly and just use your own income like with IBR? – I was in deferment for about 5 years (2008-2013). I’ve heard that with IBR that time counts to the 25 years. Is that true and do you think it’ll count for PAYE? 1. I can’t give you an answer with 100% certainty, because there are still some things up in the air with the program. I would probably trust the Direct Loans people over Sallie Mae, but the problem is that you’ll have to convince Sallie Mae to go along with what they’ve said, since SM is officially responsible for your loan. See if you can get the Direct Loans people to fax or email you something in writing, then provide that to Sallie Mae and see what they say. It’s possible the person (or even people) you talked to simply aren’t up to date on their information, or even that they’ve been trained to actively resist people moving onto programs that save the borrower money, at the cost of the lender (Sallie Mae). 2. They’re trying to close this “loophole” with the latest proposed changes to the program, as included in President Obama’s 2015 Fiscal Year budget. I wouldn’t count on being able to do this, because it’s one of the major tenets of the program that’s come under attack (that and the ability to get forgiveness on very large loans). 3. Times your loan was in deferment should not count toward the PAYE forgiveness requirements. The problem is, it’s not actually based on years, but on a number of payments, and the only payments that qualify are those that were made “in full, on time, and according to schedule”. With a loan in deferment, you aren’t technically making any payments, so I don’t think that time will count. That would be a huge oversight and major loophole if it were possible, and everyone would just put their loans into deferments for as long as possible, then take their forgiveness once they’d qualified. For that reason, I highly doubt that it would work. I just saw that Congress passed Obama’s new proposal for PAYE. And from the article I read, it stated that it offers “comprehensive student loan forgiveness”. Does this change the forgiven but taxable portion of the loan at the end of the 20 year loan term? I just called Ed Financial and they told me that I am on the income contingent plan and that in 18 years I can apply for the Obama student loan forgiveness if I stay on it. Is this real? As I understood from what you said before, I have to apply for the PAYE program right? Does it count if I am on the income contingent program? That doesn’t sound right, at all! From my latest research, the only Federal Repayment Plan that is currently eligible for President Obama’s student loan forgiveness program is the Pay As You Earn plan. And yes, you need to get onto PAYE before your monthly loan payments will start counting toward the 240 payments requirements. I don’t think your payments on the Income Contingent Program will count (but I could be wrong…), so I would advise switching to PAYE as soon as you can! Depending on when you took out your loans, you may be able to switch now, or you might have to wait for further legislation opening that program up to everyone with Federal student loans. I have maybe 12k in federal loans in an ibr as well as maybe 62k in private student loans. I have been looking and looking but I can not seem to find any answers as to if I can get help with the private student loans. Are private loans not eligible for Obamas new PAYE program? Thanks! Unfortunately Private Student Loans are not eligible for President Obama’s Loan Forgiveness Program or the Pay As You Earn Repayment Plan. Everything offered by the Federal Government applies only to Federally-funded student loans. If I sign up for paye, does it affect my ability to take out more loans for grad school? No, it shouldn’t affect your eligibility for future loans at all. If your PAYE payment is $0/month, does a $0 payment count as one of your 120 payments for the Public Service Loan Forgiveness program? Good question! I honestly am not sure about this one, but from the language of the way that PAYE forgiveness works, as long as your payments are on time, scheduled, and in full, they count toward the 120/240 payments limit. Keep in mind that 120 is only for people who qualify for the Public Service Loan Forgiveness Program, as people who don’t work in Public Service do have to make 240 total payments to receive loan forgiveness. I am currently repaying my loans through IBR, but it seems as PAYE is a better option (i.e. will lower my payments). If you are eligible for PAYE, but are currently in IBR, and want to switch, is there a fee to switch repayment plans? Thanks for the question, and no, there is no fee to switch Repayment Plans, so you should definitely do it as soon as possible! I have been reading some of the post to see if anyone had a similar questions as I did, and sure enough, I did see a few, but I still needed a bit of clarity. Ok so I have multiple Loans through Sallie Mae, alot of them, almost all of them are in deferment; however, one has been discharged, because I was unable to make payments. I came across this company that consolidates and participates in the government forgiveness programs . They said that if Ipay them a service fee of 1% of my total debt ; they can basically get most of my loans forgiven, and the amount that remained would be the portion I would make small payments on for 20 years. Be cautious about how you proceed here – anything that this company can do for you, you can actually do for yourself. 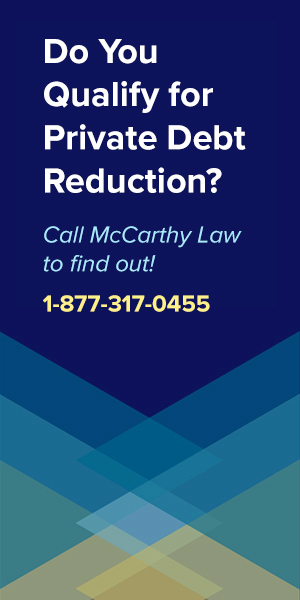 Private debt consolidation companies don’t have access to any forgiveness programs that you don’t! What’s the name of the forgiveness program that they’re going to use to reduce your debt? When did you take out your loans, and do you know if your income is low enough to be considered under the poverty line for your state and family size? How do I enroll in the Obama program ? Can you please give me the link. Would it be wise to enroll in the ICR , IBR , and PAYE at the same time ? You cannot enroll in ICR, IBR and PAYE at the same time, because they are mutually exclusive Federal Student Loan Repayment Programs. You have to pick the repayment plan that you think will work best for you. President Obama’s program is PAYE (the Pay As You Earn Repayment Plan), so if you’re looking to take advantage of the benefits he has introduced, then you’ll need to enroll in the PAYE. To enroll in IBR, ICR or PAYE, you’ll need to fill out and submit the Income-Driven Repayment Plan Request Form, which you can find here. (Please note, this link was added in July of 2014, and the form linked to will expire on 11/30/2015). Hi there Tim, thank you for all of the info. If you are still active on this site, where might I find the Income-Driven Repayment Plan Request Form after 11/30/2015? Thank you. According to StudentLoans.gov, you’re supposed to contact whoever services your loan to get it. Details here. I do qualify for the PAYE program. I am wondering if I can pay additional $ over my required payment each month to help reduce the burden later? Or do I have to pay exactly what is owed? Great question! Yes, you can always make additional payments above and beyond what your Federal student loan repayment plan calls for, but just know that your non-scheduled payments will NOT COUNT towards the 20 years worth of payments required to receive student loan forgiveness. You WILL be cutting down the total cost of your loan though, since paying off the loan early will reduce the amount of interest you get charged over the course of the loan (I’m sure you know that part, but I added it in here for others who view this comment in the future and have the same question). Thanks for stopping by, and way to be on top of your debt! It says to qualify you need to go to the (www.StudentLoans.gov) website and enroll in the IBR/ ICR repayment plans. what if I am already enrolled in this repayment plan? Is it the same thing? The Pay As You Earn Repayment Plan (PAYE) is different from the IBR/ICR Repayment Plans. To qualify for the PAYE benefits, and the recent updates to President Obama’s student loan forgiveness program, you’ll definitely want to enroll in Pay As You Earn. HI, question was on another website about consolidating loans. Was informed qualified for a loan consolidation. I am to make 4 payments to then at a set price after which in the 5th month it is 0 out. This isnt applied to my loan but to them for working on it on my behalf, They state they are not lawyers or part of gov. But its like hiring them to get loan consolidation. Is this valid. They go by SAC. Do you have Federal, or Private student loans? If your loans are Federal, then I don’t think you should be paying anyone to consolidate them, but if they’re Private, it may cost money to get the process completed. Thing is, I would bet that you could find a lender who would be willing to consolidate your loans for no cost, especially if you shopped around enough. Are your loans in good standing? How high is the interest rate? And what types of loans do you have? Sometimes, it takes spending a few hours on the phone, emailing, etc., to find the best deal. If this is the first offer you’ve received, I would not jump at it, but would continue to look at alternative options. Tread cautiously here, because making one bad decision can cost you a lot of money in the long run. Do you have a financial adviser, CPA, or a friend who is qualified to offer financial advice? If so, ask them before agreeing to this program. If your student loans have gone into collections, are you still able to qualify for this program? From my understanding of the eligibility conditions, the answer is unfortunately no. Should I have to pay a fee upfront to have this refinancing even considered? And how do I find a legitimate lender for refinancing? No, you shouldn’t have to pay a fee upfront, but it sounds like you have a Private Student Loan, which wouldn’t qualify for the PAYE plan. Are your loans Government-backed, or private? Government funded loans are not yet eligible for refinancing, which is what’s confusing me about your question. If you have private student loans, you should be able to refinance them (typically through consolidation), and you can use any lender that you’d feel comfortable working with. Try the big companies first, like Wells Fargo, to see what they’re offering, before trying the smaller guys. Oftentimes, the bigger lenders can offer better deals. Business news report last night said the new law signed now extends eligibility back before 2007. How far back does it go? I’ve been paying since 2000. Also, is one eligible if currently on temporary 1-year defferment set to expire this month? The eligibility extension for the Pay As You Earn student loan repayment plan is not to allow payments made before 2007 to count toward the 240 minimum payment requirement, but to allow people who took out loans before 2007 to qualify for the program at all. It still remains to be seen which payments will actually count towards the 240 payments requirement, but I’ll speculate based on what I’ve found around the web. I think that the following five types of payments will count, but please don’t act based on this information, because it’s still just speculation at this point! Again, these may not actually be true, so don’t start calculating your payments according to these conditions and assuming that your loan will be forgiven according to whatever date you come up with, because this is still all being resolved. Note the “goal” part of the above – this is not a requirement, a mandate, or a legal obligation, but a guideline for them. How often does the Government meet it’s goals? How much can we trust that they’ll hit this one? I’ll update this page as soon as more information is released, so be sure to check back whenever anything major is announced. In the meantime, tread cautiously, and keep your fingers crossed! So, even if you’ve already been paying your loans for 20 years you can’t apply for the forgiveness program? Only 20 years from 2007? Actually, I am not 100% certain on this question yet. Some details haven’t been released since the update yesterday, and the Government’s official Pay As You Earn page has not been updated to reflect the new changes either. I’ll see if I can figure this out today, and will update this comment as soon as I do. Thanks Jason. If a person was paying off their debt through the PAYE program will they be able to continue on going to college to further their education or will they have to start all over again? Yes, you can still return to school after using PAYE. The calculations determining your monthly payments would change if your income-level changed, but PAYE does not prevent you from returning to college for more education, or a higher degree level (like getting a Masters, etc. ).